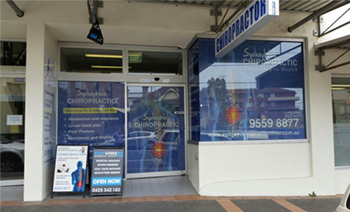 The term ' Sydney Wide Chiropractic' or 'us' or 'we' refers to the owner of the website whose registered office is at Shop 3/ 384 illawarra rd, Marrickville, NSW 2204. The content of the pages of this website is for your general information and use only. The content, price and other information on this website is subject to change without notice. This Sydney Wide Chiropractic website contains material which is owned by or licensed to us. This material includes, but is not limited to, the design, layout, look, appearance and graphics. Reproduction is prohibited other than in accordance with the copyright notice, which forms part of these terms and conditions. Unauthorised use of the Sydney Wide Chiropractic website may give rise to a claim for damages and/or be a criminal offence.